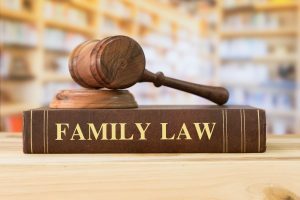 Equitable Distribution Category Archives — New Jersey Divorce and Family Lawyer Blog Published by New Jersey Divorce Attorneys — The Law Office of James P. Yudes, P.C. March 1, 2019 | Elsie Gonzalez, Esq. In the recently published opinion of the Appellate Division in Fattore v. Fattore,A-3727-16 (App. Div. 2019), the Appellate Division the husband appealed a trial court order requiring him to indemnify his former wife for the loss of her share of equitable distribution of his military pension, which was waived as a result of his receipt of disability benefits. The wife filed a cross appeal arguing that the trial court should have granted her request for alimony to replace the value of her lost pension benefit. In this case, the Fattores divorced in 1997 after a thirty-five year marriage. In the marital settlement agreement, both parties waived any claim to alimony from the other. As part of equitable distribution, the husband’s Army National Guard was divided equally between the parties. A Qualified Domestic Relations Order (QDRO) to divide the pension was completed in 1999. In 2002, the husband became disabled. At that time, the husband collected his pension and disability benefits without any impact on the pension payout. In 2010 the wife inquired why she had not received any pension payments. She was advised that a portion of her former husband’s pay was based on disability, which cannot be divided under the Uniformed Services Former Spouses Protection Act. 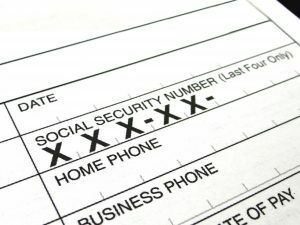 The disability amount is used as an authorized deduction. In this case, once the disability was deducted along with the survivor benefit from the husband’s pay, there was nothing left for the distribution to the wife. The wife wife filed a post-judgment motion in the family court seeking to compel her former husband to compensate her for the loss of her equitable distribution share of the military pension. The trial court decided to compensate the wife for her lost pension benefit based on the decision in Whitfield v. Whitfield, 373 N.J. Super. 573 (App. Div. 2004). 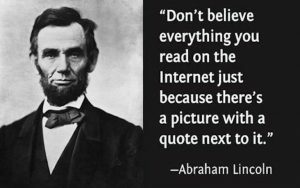 At the time of the trial court’s decision, the U.S. Supreme Court had not yet decided the case of Howell v. Howell, 137 S.Ct. 1400 (2017). The trial judge appointed a pension appraiser to determine the value of the wife’s coverture interest in the husband’s pension and, in the interim, ordered the husband to pay the wife $1,800 per month, not as alimony, but as an equitable distribution payment. 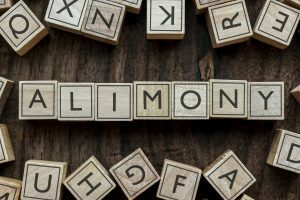 The trial court denied the wife’s request for alimony because alimony is not a compensation for equitable distribution and the parties waived alimony. January 10, 2019 | Kevin M. Mazza, Esq. While each divorce case has its own unique set of facts, circumstances and complexities, there are certain core issues which may need to be addressed, namely (1) the custody and support of any children of the marriage; (2) the necessity, extent, duration and amount of any spousal support or alimony; (3) any contributions toward professional fees; and (4) the equitable distribution of marital assets and liabilities. This series of blog posts will focus on the last item, equitable distribution, and specifically, the distribution of retirement assets in divorce. First, let me give a brief summary of what is meant by equitable distribution. Note that I use the term “equitable” and not “equal”. Under the applicable New Jersey Statute, NJSA 2A:34-23(h), it refers to the court’s authority “to effectuate an equitable distribution of the property, both real and personal, which was legally and beneficially acquired by them or either of them during the marriage”. While it is possible that certain assets may be divided equally, depending upon the nature of the asset and/or the duration of the marriage, NJSA 2A:34-23.1 lists a multitude of factors that a court must consider in order to determine the extent to which a distribution of property would be “equitable”. That statute also provides that there is a rebuttable presumption that each party made a substantial financial and non-financial contribution to the acquisition of income and property while the parties were married. Addressing these factors, the court is to make findings as to an asset’s eligibility or ineligibility, its valuation, and finally, its “equitable” distribution. In preparing their case, whether for settlement, discovery or for trial, the parties and their attorneys should go through the same sort of analysis in identifying which assets may be subject to equitable distribution, their values and how they should be divided between the parties. 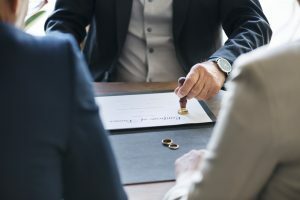 With certain qualifications, marital assets subject to equitable distribution are generally defined as those acquired between a date of marriage and the date the complaint for divorce is filed. In years past for most “average” divorce cases, the principal and usually most valuable asset of the parties which was subject to equitable distribution was the marital home. Whether due to declining real estate values or equity positions, or the lack of affordability in home ownership, this is no longer as true today. In many cases now, retirement assets accumulated by the parties during the marriage are the most valuable. What is meant by a “retirement asset”? Generally this refers to monies, funds or benefits which the tax laws allow to be saved or accumulated “tax-deferred” to be used, accessed or paid at some future time, presumably when the person is retired from active employment. There are rules and limits as to what would qualify as a retirement asset. They may be funded individually or through one’s employment. This blog post will focus on retirement assets which have been funded individually. December 14, 2018 | Kevin M. Mazza, Esq. In a number of my divorce cases, a client will complain that the other spouse is a spendthrift or is reckless with finances. They may recount that the other spouse has a gambling problem, has an addiction, or has made poor business decisions. They may express concerns that the spouse may have incurred debts and liabilities as a result of these actions. They question the extent they may also be liable for same in the disposition of the divorce matter. They wonder whether their marital assets, and most notably the marital home they own together, is at risk as a result. To the extent the marital home or other assets were owned as “tenancy by the entirety”, the recent case of Jimenez v. Jimenez, 454 NJ Super 432 (App. Div. 2018), appears to protect same, at least from the reach of third-party creditors themselves due to the actions of a “free-wheeling spouse”. Before discussing this case, what exactly is meant by a tenancy by the entirety. A tenancy by the entirety is a form of joint property ownership available only to spouses that is created when property is held by a husband and wife with each becoming seized and possessed on the entire estate. Each co-tenant enjoys the right of survivorship, meaning that after the death of one, the survivor takes the whole. Historically it was predicated on the presumed unity of spouses, and was a means of protecting marital assets during the marriage and to serve as security for one spouse on the death of the other. A tenancy by the entirety is created when a husband and wife together take title to an interest in real or personal property under a written instrument designating both of their names as husband and wife. 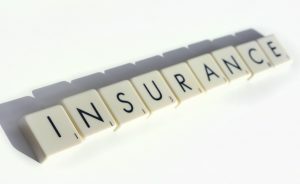 It is also created when a husband and wife become lessees of property containing an option to purchase it, or when an owner spouse conveys or transfers and interest in that property to the non-owner spouse and the former jointly, in both circumstances there being a written instrument and a designation of both of their names as husband and wife. The Jimenez case involves third-party creditor rights in regards to real estate held by spouses as tenants by the entirety. 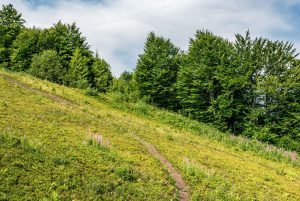 In this matter, a husband and wife had purchased a tract of vacant land in Mansfield, New Jersey. Subsequently, persons related to the spouses filed a complaint in the Law Division against the husband seeking repayment on a line of credit they allegedly extended to him as well as repayment of additional funds he allegedly owed them. A Consent Judgment was ultimately entered into between the creditors and the husband. When other efforts to make collection on this judgment failed, the creditors moved to compel the partition sale of the Mansfield property. The trial court declined to do so relying upon the provisions of N.J.S.A. 46:3-17.4. The creditors appealed. The Appellate Division affirmed. 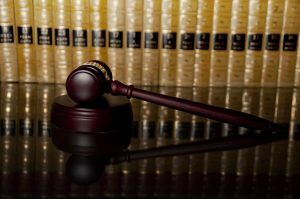 September 22, 2017 | The Law Office of James P. Yudes, P.C. March 24, 2017 | James P. Yudes, Esq. January 20, 2017 | Kevin M. Mazza, Esq.